Dr Moses Yu passed away yesterday morning, 30th December 2015, at the age of 82 years. 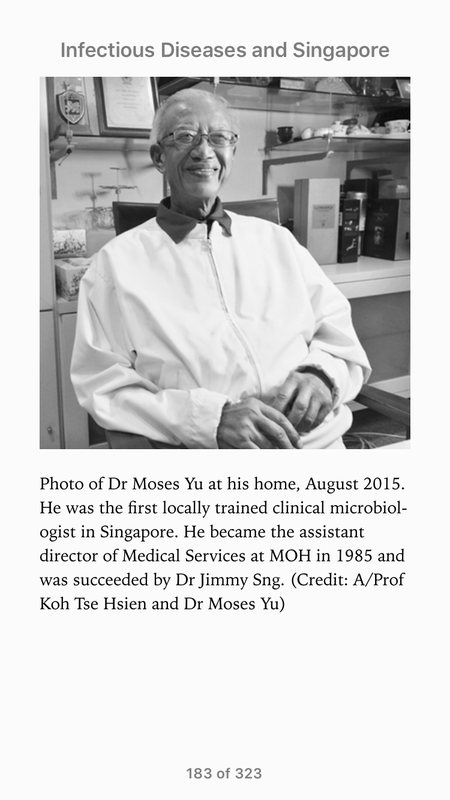 He was the first locally trained microbiologist in Singapore, heading the Department of Pathology at the Ministry of Health Singapore (the Department was only transferred to Singapore General Hospital in 1989 – a move that met with mixed reception. The Department of Pathology will formally become a Division in the coming year, a change that is long overdue) between 1972 to 1985, when he handed over to Dr Jimmy Sng. What is perhaps less well known to many in the infectious diseases (or medical) community is that Dr Yu was one of the founders of Dover Park Hospice, along with Dr Jerry Lim and Dr Seet Ai Mei. Dover Park Hospice is the first hospice in Singapore, taking over the dismal death houses at Sago Lane. I consider it a privilege to have had the opportunity to speak to him briefly. A final interview with him is provided at the SGH Diagnostic Bacteriology blog.